President Cyril Ramaphosa has had a busy week. But that hasn’t stopped him from reaching out to other communities within South Africa. Recently the president addressed the Muslim Judicial Council (MJC) in Cape Town for the Ramadan Iftar. He praised the Muslim community for the selfless charity work they have engaged in. The president clearly has been impressed by the influence of the Muslim community in helping combat poverty. The president certainly loves the work of good Samaritans in improving the lives of the destitute. The president had delivered his speech at the iftar – evening meal – when Muslims break the day time fast. The president claimed that he was deeply impressed by the charitable work of Muslim NGOs. Muslims has always been devoted to working for the betterment of others. 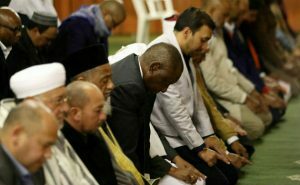 But Ramaphosa’s recent overtures to the Muslim community call into question his motives. This is a politician seeking to rebuild his popularity and that of his party ahead of elections after the disastrous era of his predecessor. And he also has been seeking influence in the diplomatic arena as well. 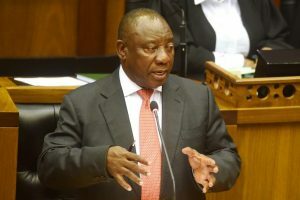 Ramaphosa has met with the president of the Sahrawi Arab Democratic Republic (SADR) who actually leads the Polisaro Front which is fighting Morocco for Western Saharah. South Africa has also been seeking closer ties with Morocco however the North African Kingdom controls the Western Sahara which is rich in sulphate deposits but it now seems they are engulfed in economic turmoil. Morocco and Western Sahara are both in dire straits due to the poverty experienced by both the occupier and the occupied. Polisaro Front which leads the SADR provisional government, President Abraham Ghali may be looking to strengthen his self-proclaimed state’s recognition and diplomatic ties as Morocco is in a quagmire. Rabat claims that the Western Sahara territory is a historic part of its nation. The Polisaro Front and its supporters disagree. It remains to be seen what Ramaphosa has to offer.